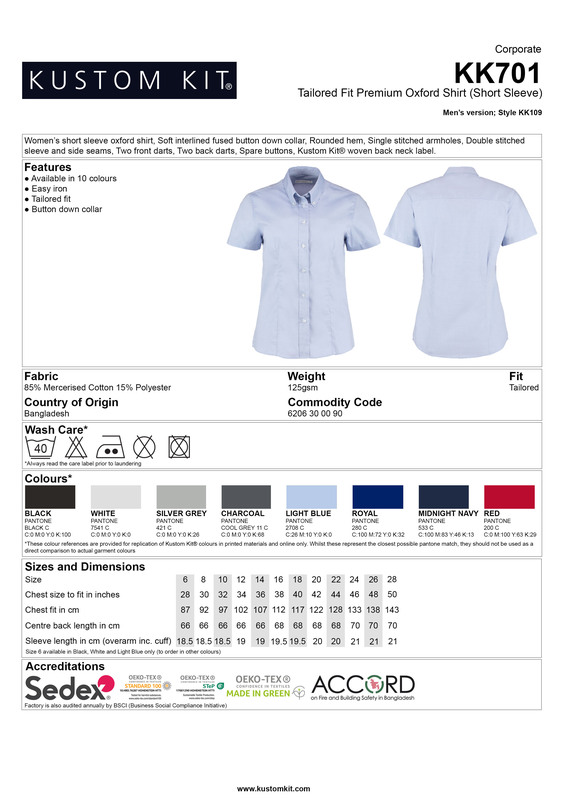 Kustom Kit Ladies Premium Oxford Short Sleeve Shirt this is a pretty shirt that can be dressed up or down. It is fitted giving it a feminine shape and has a button down fused collar, back yoke and short sleeves. Many great colour choices. *Size 6 only available in these colours- black, light blue and white.